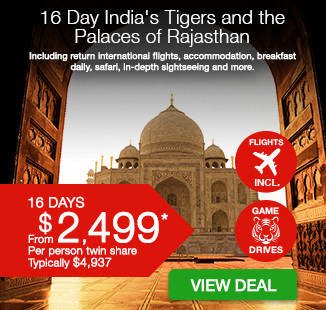 16 Day India's Tigers and the Palaces of Rajasthan including return international flights, accommodation, breakfast daily, safari, in-depth sightseeing and more. 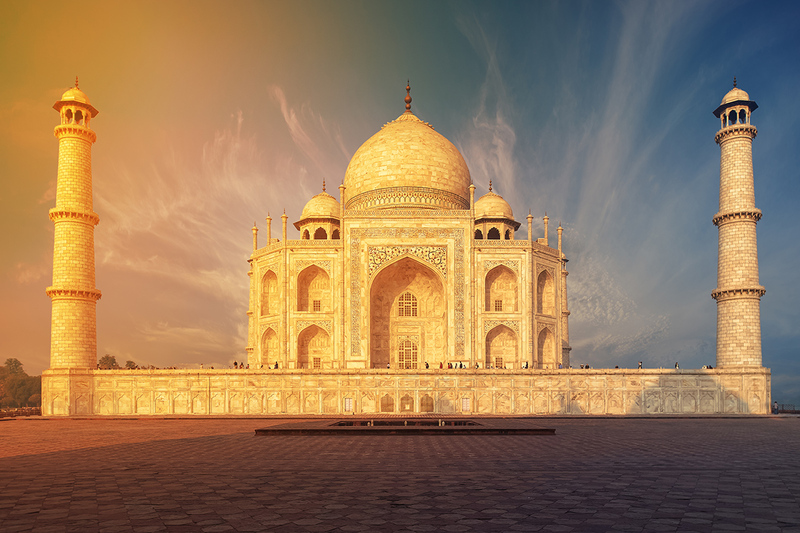 Aside from spiritual beauty, ancient history and more diversity then anywhere else in the world, India is home to incredible wildlife and awe-inspiring monuments. 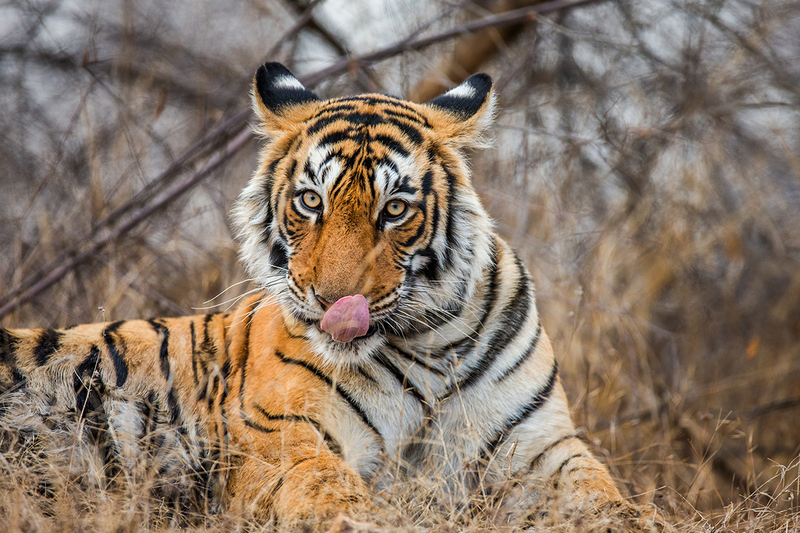 Combining bustling city tours of Delhi with a walk through Dholpur Old Town and a safari through Ranthambore National Park, this 16 day India’s Tigers and the Palaces of Rajasthan tour is an all-encompassing experience. 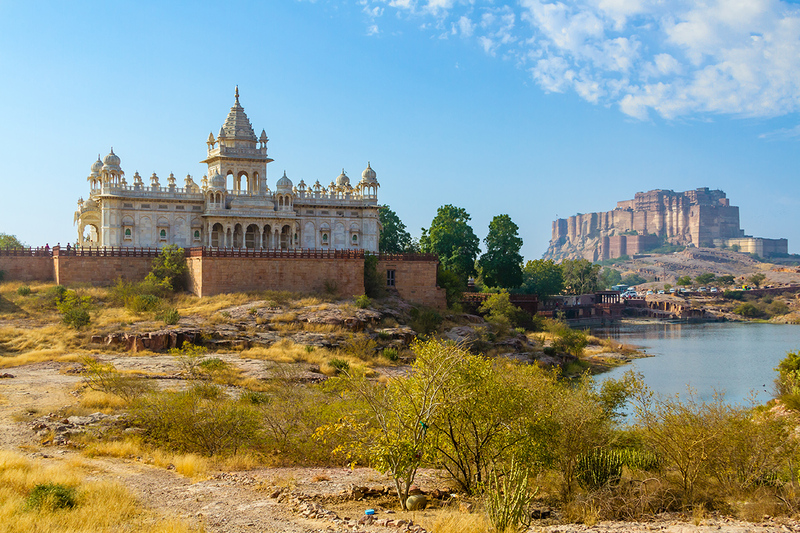 Spot elusive tigers in the famous reserve, admire beautiful temples in Amer Town, Jaipur, explore City Palace in Udaipur and discover exquisite handicrafts in the “Blue City” of Jodhpur, plus so much more. Your package includes return international flights, accommodation, tour guides, sightseeing, safari, breakfast daily, transportation and more. Experience the same destination in three unique travel styles to match your travel needs. Choose from Essential Package or upgrade to experience more. Wake up early today to undertake an experience you’ll never forget, a thrilling jungle safari in open top jeeps through Ranthambhore National Park. The experience is likened to an African safari. Drive to the dense jungle of Ranthambore for tiger tracking and bird watching accompanied by a naturalist. 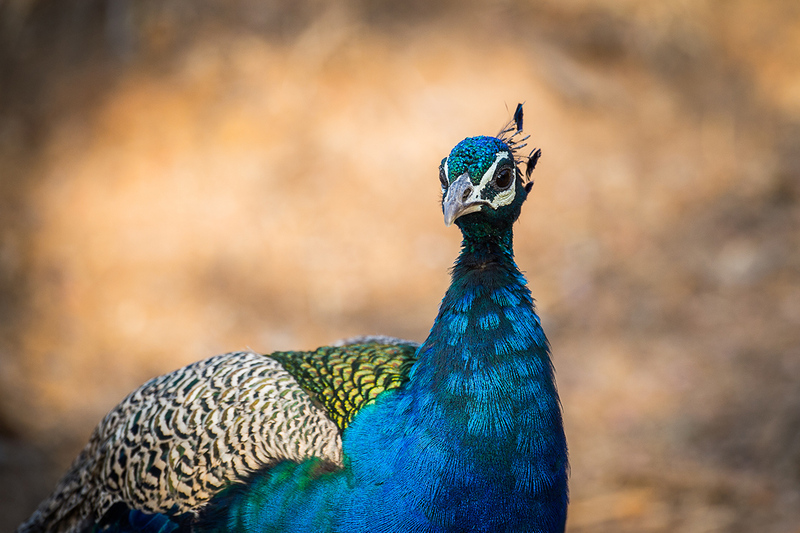 The scrub woodlands of Ranthambore were the erstwhile hunting reserve of Maharajas of Jaipur, and royal hunting parties were hosted in the Park. 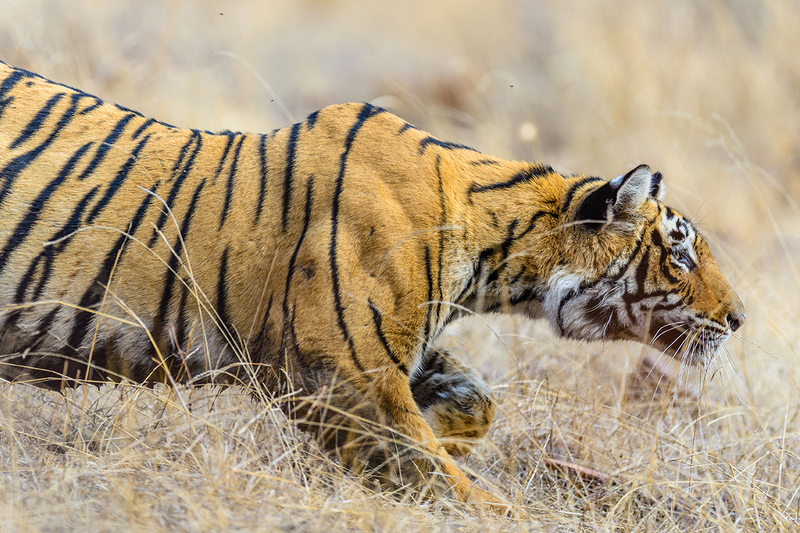 Today, it is a sanctuary for India’s exotic wildlife, and famous for spotting the majestic predator – the tiger. 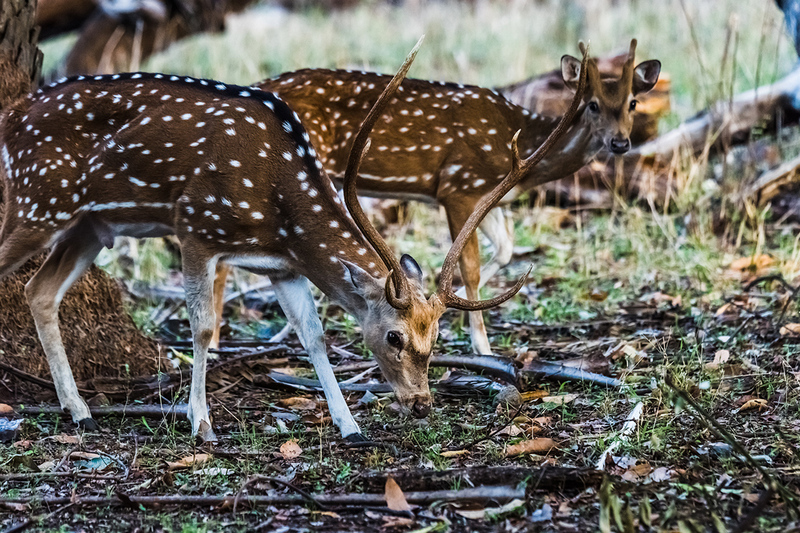 The park is also home to a large variety of other animals, including sambar deer, panthers, marsh crocodiles, jungle cats, civets, wild boar, sloth bears and leopards, as well as being a birdwatcher’s delight with more than 250 species of birds nesting there. After, return to the hotel for breakfast where the rest of the day is at leisure. 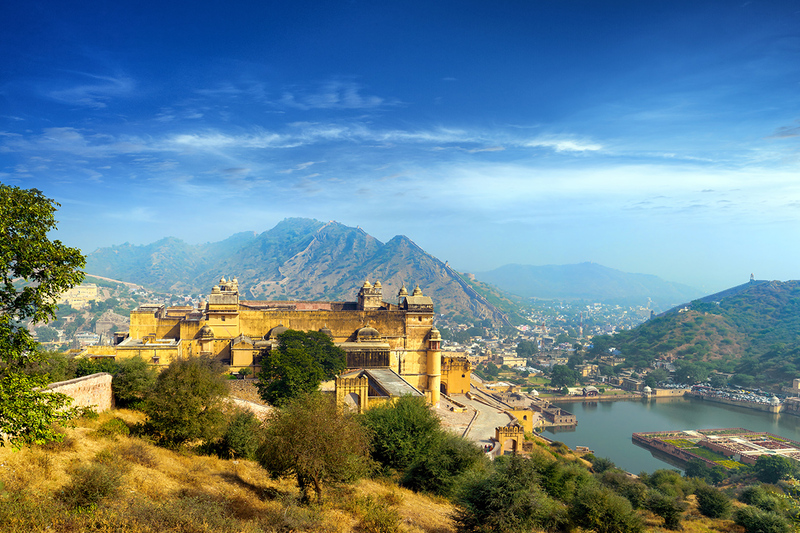 Optional Tour: Amber Fort – Situated on a ridge just outside Jaipur city, surrounded by fortified battlements, Maharaja Mansingh, Mughal Emperor Akbar’s most successful General, started the construction of Amber Fort in the 17th century. 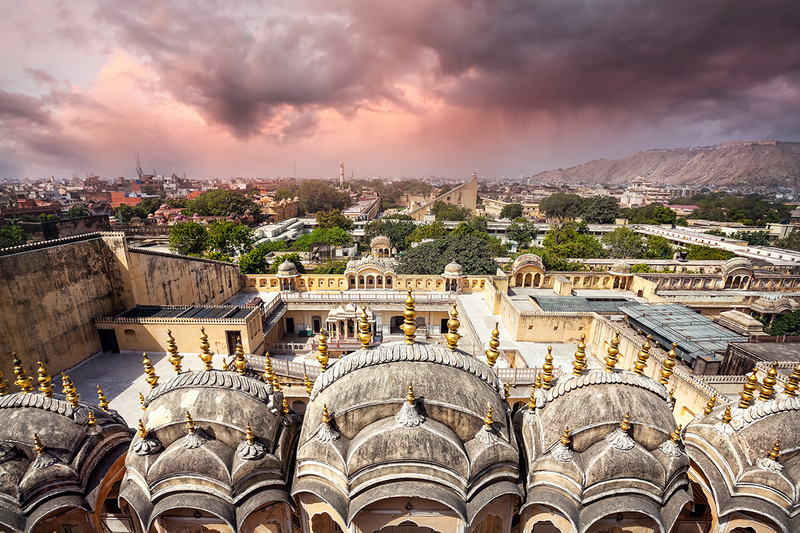 Before the City Palace was constructed in Jaipur, Amber was the seat of power. At the foot of the hill you will be taken on the jeep up to the main gate Tour the chambers and hallways of the palace, famous for the excellence of its design and decoration. Today, leave Jaipur behind you as we make our way to Udaipur (410 Km / 8 hrs approx.) the ‘City of Lakes’. It is the capital of the erstwhile kingdom of Mewar, one of the oldest surviving dynasties in the world and was established around 1567 A.D. The chequered history of Mewar is showcased in the city of Udaipur, which is akin to an oasis in the desert state of Rajasthan. It is a rich and beguiling tapestry of lakeside palaces, forts, temples, havelis and gardens, reflecting the varied influences of the centuries. Also called ‘Venice of the East’, Udaipur is located in the Aravalli ranges of the royal state of Rajasthan. Surrounded by ancient mountains and set on the edge of three lakes, it is a beautiful old city with narrow lanes meandering through it. This morning we head out to explore Udaipur. Built in 1567, the City Palace stands on a hill on the banks of Lake Pichola and is surrounded by crenulated walls. City Palace is an intriguing mixture of Rajput and military architecture and Mughal-style ornamental techniques. Its firm, fortress-like façade, topped by a plethora of graceful balconies, cupolas and turrets, has been justly described as a massive plain cake topped with fabulous icing. Continue to Saheliyon-ki-Bari (Garden of the maids of honour), a small ornamental garden which was a popular relaxing spot where royal ladies came for a stroll and hence the name. Also, visit the Jagdish Temple, which was built by Maharana Jagat Singh. Located north of City Palace’s main gate, this 17th-century temple has an enormous black stone image of lord Vishnu in its profusely carved main shrine. A bronze image of Garuda (the mythical bird who is Vishnu’s vehicle) stands in front of the temple and the stone elephants flank the entrance steps. This afternoon, enjoy a walk around the bazaars in the colourful and bustling markets of Old town. Browse through the shops selling embroidered and block printed fabrics, jewellery, paintings and carved wood artefacts. Optional Tour: Boat ride on Lake Pichola – Lake Pichola derives its name from Pichola Village, with the City Palace extending along its eastern bank and the Jag Niwas Island and the Jag Mandir enclosed in its vast expanse. Maharana Udai Singh enlarged the lake after he founded the city of Udaipur. The lake is surrounded by hills and its panoramic beauty is best viewed against the backdrop of the setting sun. Today, leave the lake city of Udaipur for one of the jewels of Rajasthan, Jodhpur (280 km / 7hrs approx.). Enroute, we stop at the town of Ranakpur. 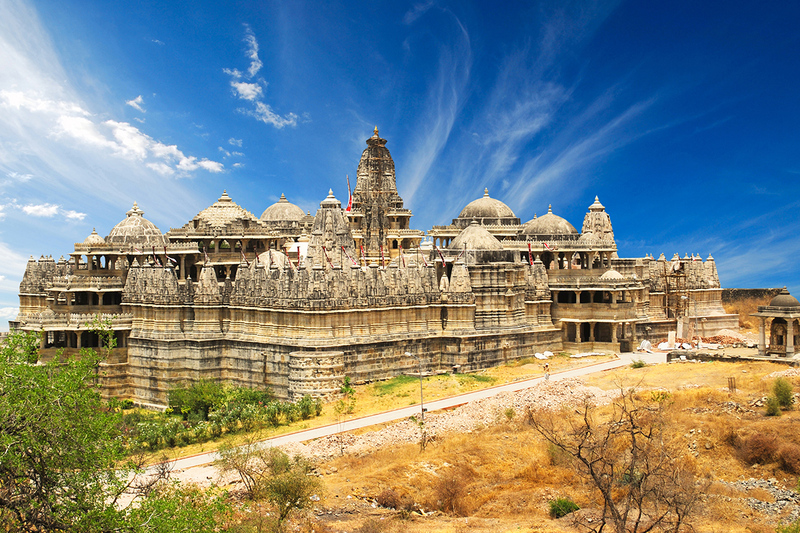 Here there is time to enjoy lunch or enjoy a visit to the famous Jain Temples for those that wish. Optional Tour: Visit to the famous marble Jain Temples – Deep in the forest, tucked away in a remote and quite valley of the Aravalli Range, some 90 km from Udaipur is Ranakpur. It boasts of some of the most exquisite Jain temples in the country famous for their intricate friezes and sculptures. The main shrine of Adinath, with its 1444 exquisitely carved columns is the largest and most complex Jain temple in the country. Two Jain temples dedicated to Neminath and Parsvanath and a Sun Temple a little distance away are also noteworthy. After, continue on to the city of Jodhpur. Jodhpur, also called the “Blue City” located on the edge of the Thar Desert was once the capital of the former princely state of Marwar state founded in 1459 by Rao Jodha and is now the second largest city of Rajasthan. Flanked on its western side by the Mehrangarh Fort, and on the eastern side by the stately sandstone Palace of Umaid Bhawan; the monuments temples and gardens of Jodhpur depict a multifaceted grandeur. It is still a marvellously medieval city. While the graceful palaces, forts and temples bring alive the historic grandeur, exquisite handicrafts, folk dances, music and the brightly attired people lend a romantic aura to the city. Countless festivities celebrate the rich past and culture of the princely state. The Marwar Festival held annually is one such spectacular bonanza. This morning, visit the magnificent Mehrangarh Fort. One of Rajasthan’s finest forts, Mehrangarh Fort looks down protectively over the city, from the hilltop. Still run by the Maharaja of Jodhpur, this 5 km long majestic fort on a 125 metre high hill is one of the most impressive and formidable structures. There are seven gates that lead into the fort. Inside the fort is a series of courtyards and palaces. 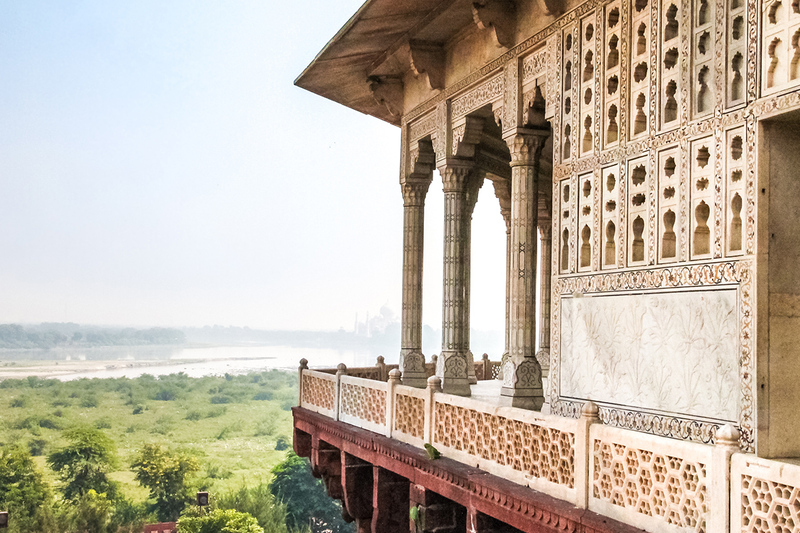 The palace apartments with marvellously carved panels, latticed windows have evocative names such as Sukh Mahal (Pleasure Palace), Moti Mahal (Pearl Palace), the Phool Mahal (Flower Palace) and the Sheesh Mahal (Palace of Mirrors). These palaces house a fabulous collection of trappings of Indian royalty including a superb collection of palanquins, elephant howdahs (used when the Maharajas rode their elephants in processions), miniature paintings, musical instruments, costumes and furniture. Continue to Jaswant Thada, just off the fort road, is a white marble memorial to Maharaja Jaswant Singh II. The cenotaph built in 1899, was followed by the royal crematorium and three other cenotaphs that stand nearby. There are some beautiful marble jali (lattice) work and fine views from the terrace in front of the cenotaphs. Next, you will proceed towards the city where you walk through the bazaars and experience the rich, ethnic, diverse and extremely colourful life of Jodhpur. Optional Tour: Afternoon Village Safari in the Countryside – Proceed on a half day village safari. The countryside south of Jodhpur is strewn with villages, their mud and thatch huts inhabited by the Bishnoi and communities of potters and weavers. A visit to this area provides an opportunity to get an insight into the daily life at these hamlets. At the village, you will be greeted with a traditional ceremony. The Bishnois are passionate environmentalists and their faith bids them to protect every living being, if necessary with their lives. Bishnois believe they will be reborn as deer. Experience the warm hospitality of the villages, taste traditional food, learn herbal remedies and see beautiful traditional crafts like spinning and carpet making being practiced. This morning, you will be driven to the holy city of Pushkar (200 km / 5hrs approx.). 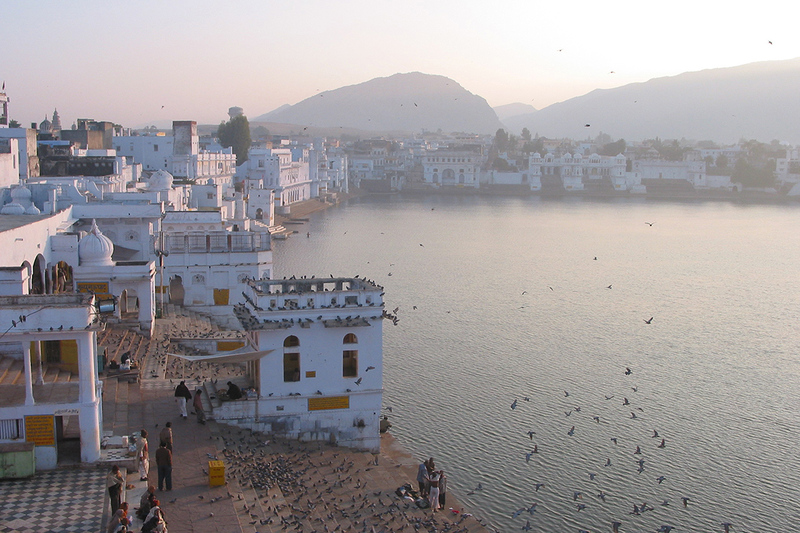 Pushkar is a peaceful pilgrim town of lakes and temples. Pushkar lies in a narrow valley overshadowed by rocky hills that offer a spectacular view of the desert at sunset. 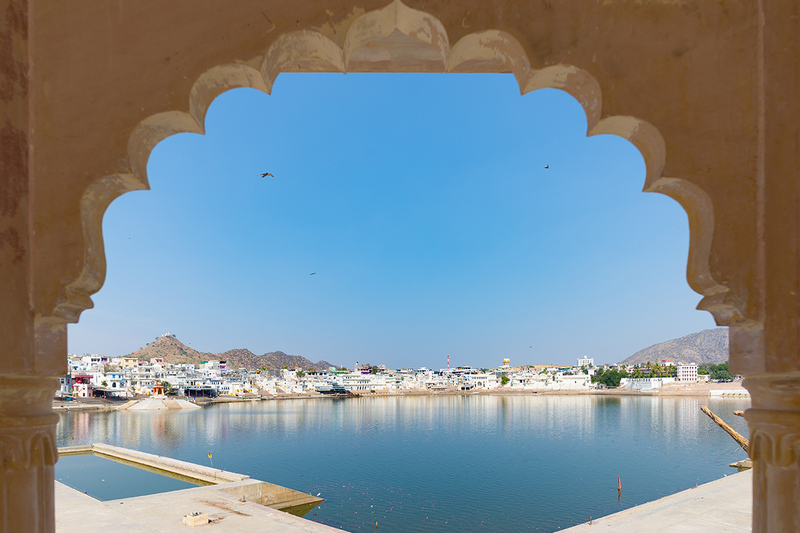 Legend claims Pushkar’s lakes were created from petals that fell from the divine hands of Brahma the Creator, thus the name Pushkar pushpa (flower) and kar (hand). Life in Pushkar, today, revolves around its lakeside ghats, temples and vibrant colourful bazaars, and it is this harmonious mix of the spiritual and commercial that draws people to Pushkar. The charm of this holy, lakeside settlement so captivated the great Indian poet, Kalidas, that it found a place in his classic, Abhigyan Sakuntalam. The Hindu epics of Mahabharata and Ramayana also make references to Pushkar. Evidence points to its having existed during the Fourth century B.C. A lake in the inhospitable surroundings of a desert is no less than a miracle and shimmers like an Oasis. Today, Pushkar is a buzzing tourist spot, overflowing with travellers from all over the world. Upon arrival, proceed for check-in at your hotel where the rest of the day is at leisure. Today we explore fascinating Pushkar. The holy town of Pushkar is a very sacred town for the Hindus. Situated 11 kilometres North-West of Ajmer this little town is dotted with more than 400 temples dedicated to various Hindu Gods and Goddesses. We’ll begin by visiting the main temple, the Brahma Temple, which is considered the only Brahma Temple in the world. We then continue down to the Pushkar Lake. Here you can witness the many people bathing in its holy waters and see the famous blue houses which line the lake’s bank. It is considered that the famed waters of the Pushkar wash away the sins of whole life. After, we continue for a walk in the Pushkar market to see the many merchants which have remained almost unchanged for centuries. This afternoon you will be driven to Ajmer (1 hr approx.) railway station where you will board your train for Delhi. You can safely forget media images of overcrowded suburban trains with people sitting on the roof. On a long distance train in an air-conditioned carriage all seats are reserved and it’s a safe, civilised & comfortable way to get around India. Our train journey to Delhi takes around 8 hours giving you time to watch the world go by. On arrival you will be transferred to your hotel in Delhi. Today we head out on a full day to explore Delhi. Begin your day with a guided tour of the Old City of ‘Shahjahanabad’. Your introduction to the city will start with a visit to Raj Ghat – the cremation site of Mahatma Gandhi, drive past the Red Fort—the magical monument in red sandstone built at the pinnacle of the Mughal Empire. After, continue on to Jama Masjid, the largest mosque in Asia built by Shahjahan. This afternoon, enjoy a walk around the bazaars in the colourful and bustling markets of Old town. Browse through the shops selling embroidered and block printed fabrics, jewellery, paintings and carved wood artefacts. Udaipur is famous for its miniature paintings and is also the centre for performing arts and crafts. Proceed to view some of the famous miniature paintings, the intricate brushwork made from natural colours of vegetables, precious stones, indigo, conch shells, pure gold and silver. The representation of true Indian spirit, these paintings reflect the personal magnificence and vanity of the era gone by. Today, leave the lake city of Udaipur for one of the jewels of Rajasthan, Jodhpur (280 km / 7hrs approx.). Enroute, we stop at the town of Ranakpur. While here, we visit the famous marble Jain Temples. Deep in the forest, tucked away in a remote and quite valley of the Aravalli Range, some 90 km from Udaipur is Ranakpur. It boasts of some of the most exquisite Jain temples in the country famous for their intricate friezes and sculptures. The main shrine of Adinath, with its 1444 exquisitely carved columns is the largest and most complex Jain temple in the country. Two Jain temples dedicated to Neminath and Parsvanath and a Sun Temple a little distance away are also noteworthy. Optional Meal: Enjoy lunch in a local restaurant. After breakfast, the day is at leisure. At the appropriate time, you will be met at your hotel by a Webjet representative and assisted with your transfer to the international airport for your onward flight home. Later, enjoy a traditional Rickshaw ride through the narrow streets of Old Delhi and immerse yourself in the daily life of the locals which has remained unchanged for centuries. Ride through the narrow streets, past the glittery shops selling wedding ceremony items in Chandni Chowk. After the fort we enjoy a traditional thaali lunch. The idea behind a Thali is to offer all the 6 different flavors of sweet, salt, bitter, sour, astringent and spicy on one single plate. Enjoy a traditional thaali lunch in the shadows of historic 11th century Amber Fort. 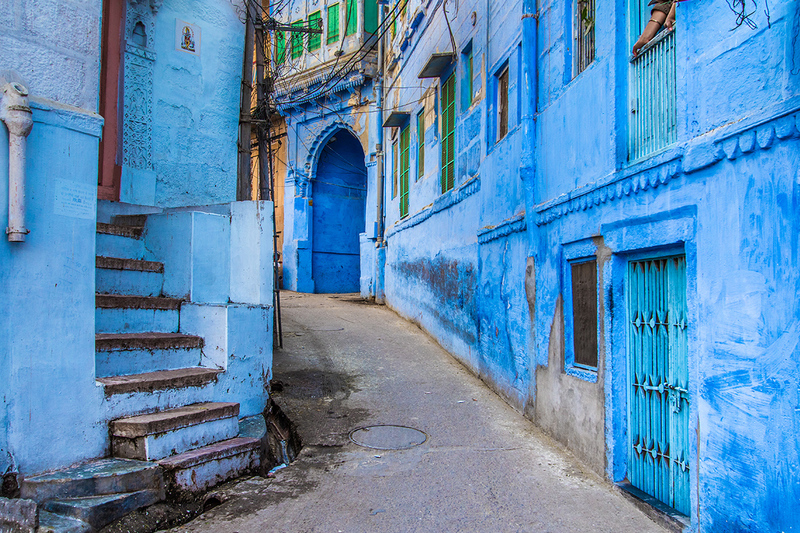 This afternoon, enjoy a heritage walk in the pink city. Starting from the massive Tripolia Gate, make your way through the bustling lanes of Jaipur as you walk past the beautiful old temples and painted havelis. Wander through the streets as you see some of the gorgeous temples on both side of the roads dedicated to Lord Shiva, Lord Hanuman and the many forms of Lord Krishna. Appreciate the beautiful murals on their exterior walls as you continue to the big terracotta red building called the Jaipur College. Proceed through the narrow alleys seeing a collection of textiles, utensils, wedding attires and street food vendors. Today, leave Jaipur behind you as we make our way to Udaipur (410 Km / 8 hrs approx.) the ‘City of Lakes’. It is the capital of the erstwhile kingdom of Mewar, one of the oldest surviving dynasties in the world and was established around 1567 A.D. The chequered history of Mewar is showcased in the city of Udaipur, which is akin to an oasis in the desert state of Rajasthan. It is a rich and beguiling tapestry of lakeside palaces, forts, temples, havelis and gardens, reflecting the varied influences of the centuries. Also called ‘Venice of the East’, Udaipur is located in the Aravalli ranges of the royal state of Rajasthan. Surrounded by ancient mountains and set on the edge of three lakes, it is a beautiful old city with narrow lanes meandering through it. Next, continue to the Crystal Gallery. Crystal Gallery hailed as probably the single largest private collection of crystal anywhere in the world. The visitors are privy to one of the most exclusive and exquisite crystal collections, which include a bewildering number of objects d’art, dinner sets, perfume bottles, decanters, glasses, washing bowls and even furniture. Thereafter, continue for an authentic Indian Thaali lunch experience at a local restaurant. Udaipur is famous for its miniature paintings and is also the centre for performing arts and crafts. Proceed to view some of the famous miniature paintings, the intricate brushwork made from natural colours of vegetables This afternoon, enjoy a walk around the bazaars in the colourful and bustling markets of Old town. Browse through the shops selling embroidered and block printed fabrics, jewellery, paintings and carved wood artefacts., precious stones, indigo, conch shells, pure gold and silver. The representation of true Indian spirit, these paintings reflect the personal magnificence and vanity of the era gone by. 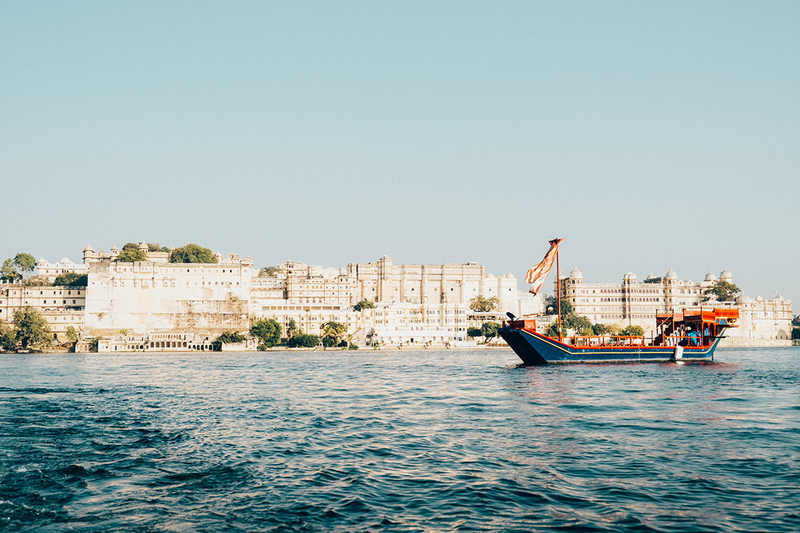 Continue on a boat cruise on the placid waters of Lake Pichola. 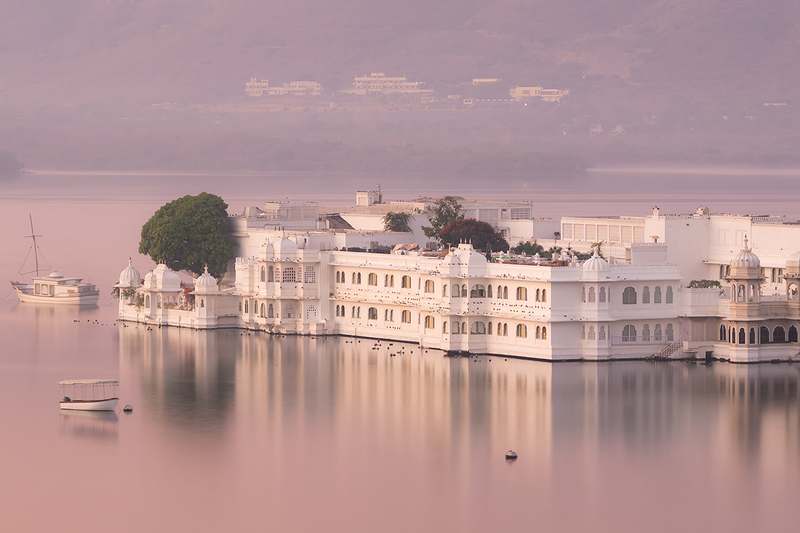 Lake Pichola derives its name from Pichola Village, with the City Palace extending along its eastern bank and the Jag Niwas Island and the Jag Mandir enclosed in its vast expanse. Maharana Udai Singh enlarged the lake after he founded the city of Udaipur. The lake is surrounded by hills and its panoramic beauty is best viewed against the backdrop of the setting sun. After lunch proceed on a local village safari. The countryside south of Jodhpur is strewn with villages, their mud and thatch huts inhabited by the Bishnoi and communities of potters and weavers. A visit to this area provides an opportunity to get an insight into the daily life at these hamlets. At the village, you will be greeted with a traditional ceremony. The Bishnois are passionate environmentalists and their faith bids them to protect every living being, if necessary with their lives. Bishnois believe they will be reborn as deer. Experience the warm hospitality of the villages, taste traditional food, learn herbal remedies and see beautiful traditional crafts like spinning and carpet making being practiced. 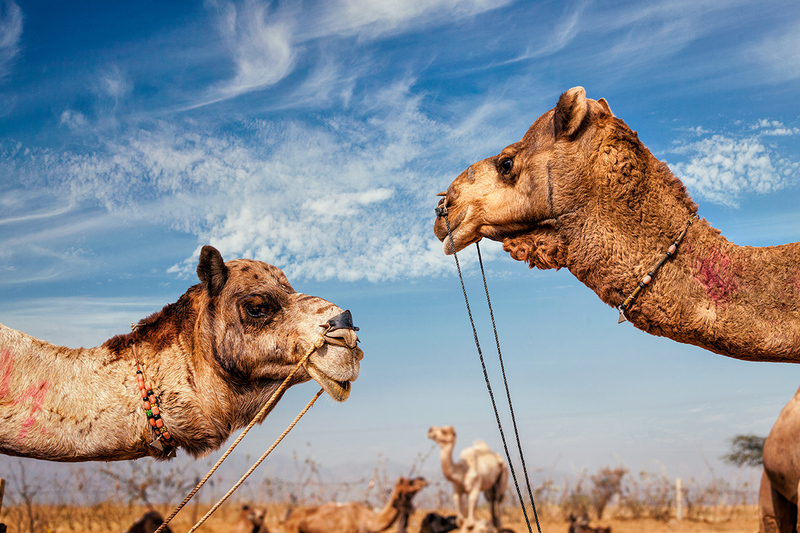 Today we explore fascinating Pushkar. The holy town of Pushkar is a very sacred town for the Hindus. Situated 11 kilometres North-West of Ajmer this little town is dotted with more than 400 temples dedicated to various Hindu Gods and Goddesses. We’ll begin by visiting the main temple, the Brahma Temple, which is considered the only Brahma Temple in the world. We then continue down to the Pushkar Lake. Here you can witness the many people bathing in its holy waters and see the famous blue houses which line the lake’s bank. It is considered that the famed waters of the Pushkar wash away the sins of whole life. After, we continue for a walk in the Pushkar market to see the many merchants which have remained almost unchanged for centuries. This afternoon you will be driven to Ajmer (1 hr approx.) railway station where you will board your train for Delhi. You can safely forget media images of overcrowded suburban trains with people sitting on the roof. On a long distance train in an air-conditioned carriage all seats are reserved and it’s a safe, civilised & comfortable way to get around India. 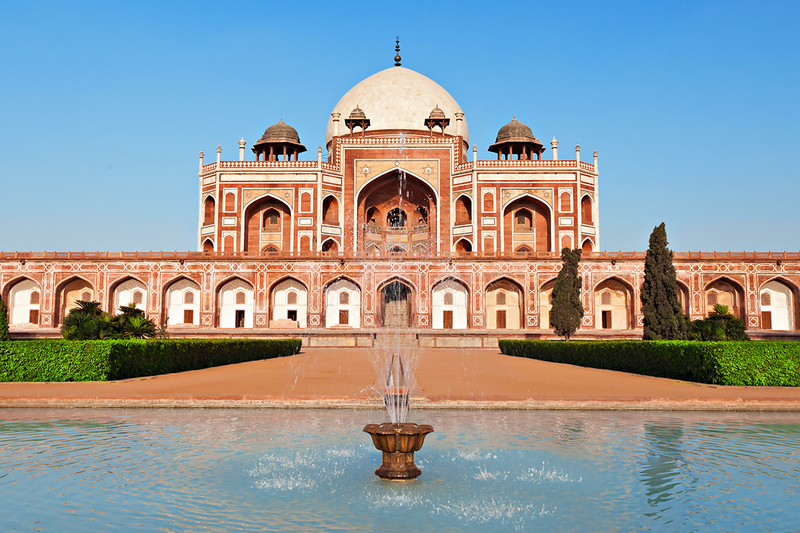 Our train journey to Delhi takes around 8 hours giving you time to watch the world. Upon arrival, proceed for check-in at your hotel where the rest of the day is at leisure. Adelaide – Return economy airfare with Singapore Airlines (Malaysia Airlines or similar if Singapore Airlines is unavailable). 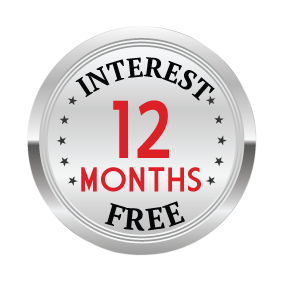 A $250 interstate surcharge applies per person, please purchase the interstate fee after you click ‘Buy Now’ or by clicking here in addition to your 16 Day voucher. We are unable to guarantee which airline you will travel with as flights will be booked subject to promotional fare availability for your travel dates. We are unable to guarantee which airline you will travel with as flights will be booked subject to promotional fare availability for your travel dates. Including minimum 23kg of checked baggage per passenger (actual limit is subject to airline). It is the traveller’s responsibility to ensure they meet the visa requirements for the country they are visiting. Webjet Exclusives is unable to provide visa advice. The tour was fantastic and made even more special by our guide, Kuldeep Pujari, who went out of his way to help us and to show us as much (and more) as he could. A brilliant tour guide.